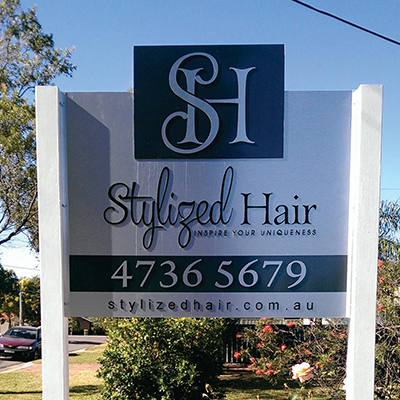 Get your business out there with some creative signage solutions. We offer a great range. See below for an example of what we offer. We also offer design services, promotional products and printing. Use your vehicle as a mobile billboard. Generate awareness about your product or services. Types of vehicles utes, cars and vans. We can design your vehicle graphics to fitting them. We also can supply the metal signs to go on to aluminum trays or you can put vinyl directly on to tray. 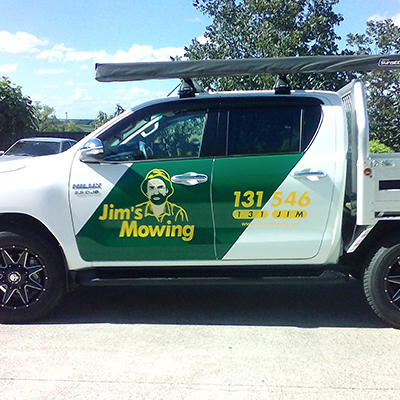 Email us for more information on your ute signage. 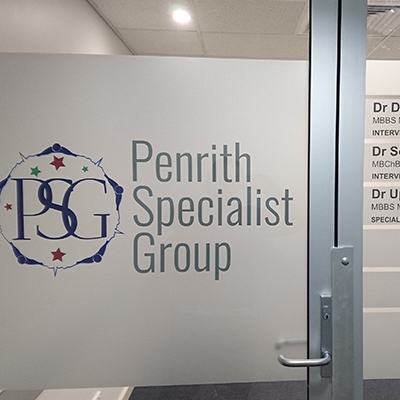 We can brand your windows or print and image on your windows, office, vehicles or shop fronts with one way vision, frosting or full colour block out prints. 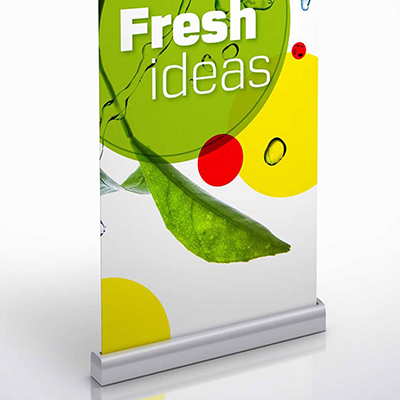 We supply a range of pull up banners from budget to deluxe range. There are interchangeable plus double sided available. Pull up banners are great for portable branding and one of the most popular products. 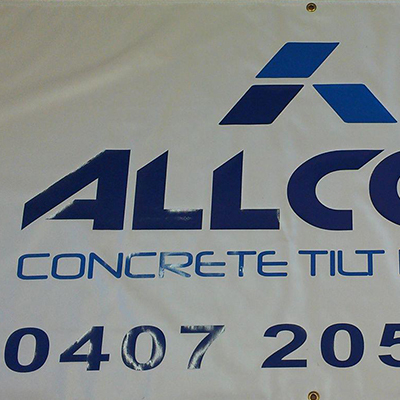 Pull up banners are so versatile install quickly and easily yet is compact. Add wind holes for added durability in high wind areas. Finishes for banners can be ropes & eyelets, pockets. There are a number of finishing options for your banner. Email for more options. WE DO IT ALL! WE DESIGN, PRINT & INSTALL! Mesh banners are commonly seen as fence banners or fence wraps for construction sites, development areas, car yard sales & building enclosures. Mesh banners have very small holes that allow breeze to pass through which will avoid ripping against wind. There is a wide range of finishes, please contact us for recommended finishes. Welded rope finish is not suitable or recommended and not available as a finishing option. 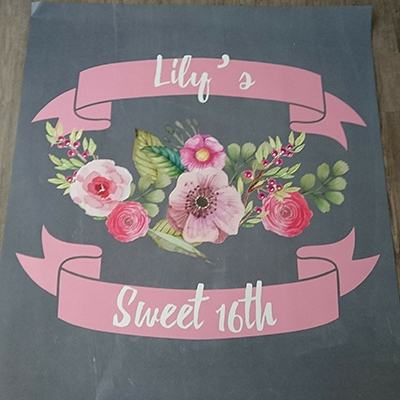 Personalised party banners are perfect for any event, birthdays, wedding, engagement, congratulations, baby showers are some of the events they can be used for. 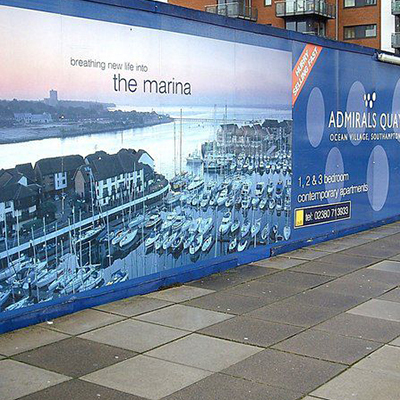 All party banners are printed on water UV resistant vinyl with welded edges & eyelets included. Perfect for indoor and outdoor events. Email us for a custom design or choose from one of our design selection. Indoor and outdoor posters popular and inexpensive material printed on 180gsm synthetic paper, which is strong and durable. Uses for bus shelters or hanging in shopfronts. 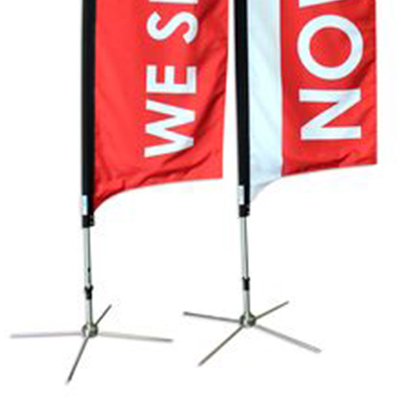 Custom print wind flags suitable for any occasions. Draw attention from both sides, repeat your message or have something else printed on the other side. Single or double sided print options. Choice of base sold separately. CAN’T SEE WHAT YOU WANT? CONTACT US TODAY! 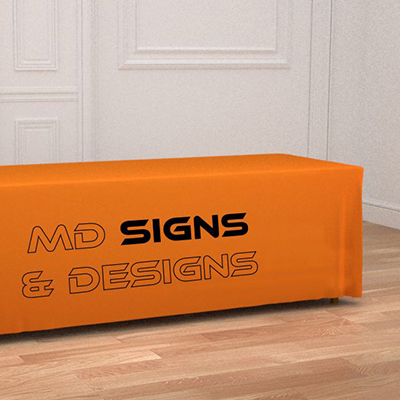 We can print banners direct to fabric. These have great uses for trade show booths, shop front window displays, exhibition back drops & branded table cloths. Increase your visibility and promote your brand. We have a large range of sticker uses from the multi purpose sticker labels, removable, outdoor, bubble free, oneway vision, frosted transparent, static cling white or clear. Many more such as wall floor stickers as well, email through your enquiries. Corflute – a low cost solution for both indoor and outdoor commonly used by real estate agents, water resistant and UV resistant. 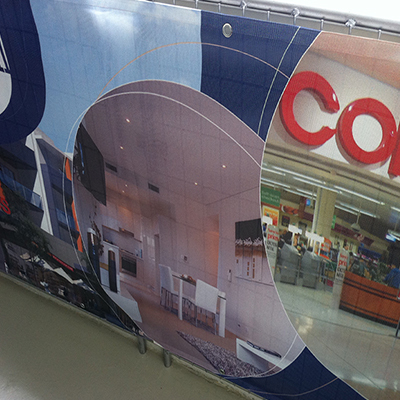 Alupanel Sign – Perfect outdoor signage solution commonly used on building, retail stores & offices. 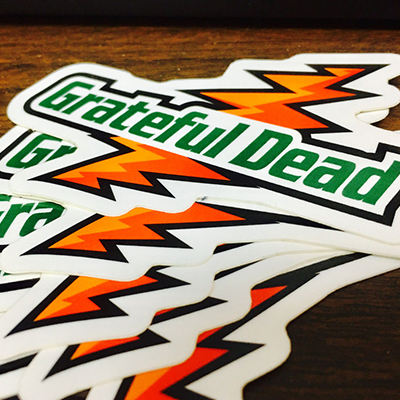 Comes in 3mm thick. 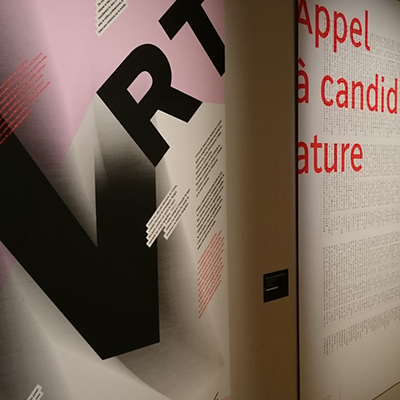 Foamboard – light weight, low cost, great for big visual impact, Comes in 5mm and 10mm.